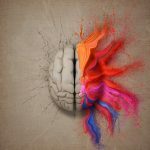 The five senses can strongly impact how you perceive the environment around you, and smell can evoke feelings and memories that change your mood quite easily. Certain scents are proven to increase productivity and boost your mood. You might not be aware of how greatly scents can influence you and your employees; having a few flowers and plants with proven health benefits in the office is always a great way of brightening the day. Well-known for its calming abilities, jasmine has a sweet and fragrant scent that can help to fight depression. It has a pleasantly calming effect that helps to reduce stress and anxiety and boost your mood. It’s been known since ancient times as a King of fragrant, flower oils, and in Persian its name means “gift from God”. The flower has been described as exotic and exquisite and, as it promotes the well-being of the brain, it’s an essential flower to have in the office. Rosemary’s leaves are flat like pine needles, with a citrus and woodland like smell. 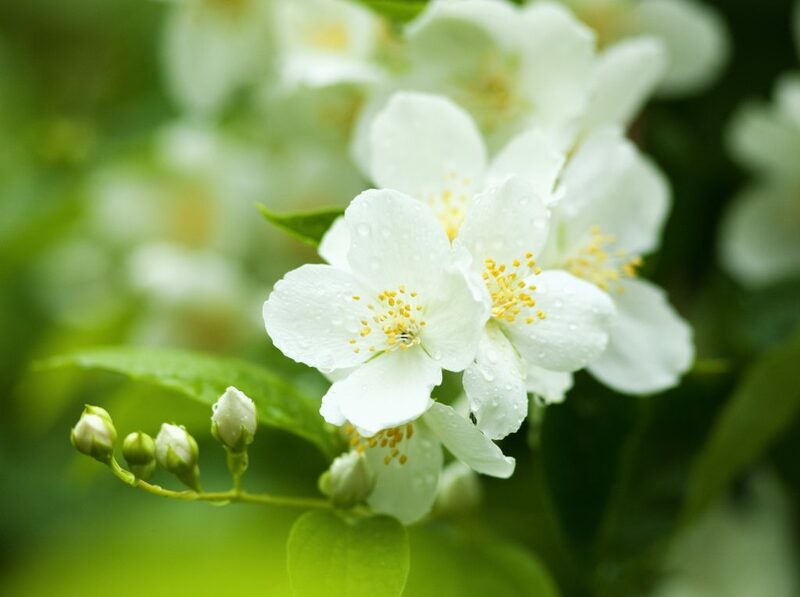 Its name means “dew of the sea” in Latin, and the flower was once considered sacred. Workdays can be stressful and tiring, and inhaling the scent of rosemary can help to boost mental activity and fight against mental fatigue. It also reduces stress and helps to provide you and your employees with a calming day. Beautiful and striking in colour, Lavender is known for its calming properties. In the workplace, it aids to reduce nervous tension and lessen stress. 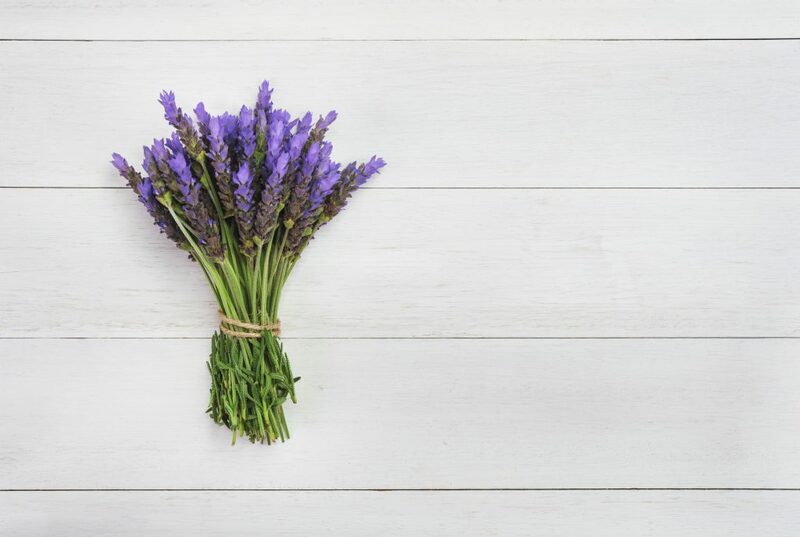 Lavender has been used for centuries to prevent headaches as its aroma is light and fresh. It can also decrease the levels of restlessness due to its effect of nervous tension, which provides your office with a pleasant environment. Being able to properly concentrate during in the workplace is essential, and peppermint gives you extra energy to help you focus. As a mood elevator, it decreases anxiety and stress as it promotes feelings of happiness. Peppermint has a refreshing and pleasant scent, aiding in reducing stress headaches and enhancing alertness. 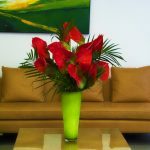 Choosing plants and flowers with light and refreshing scents ensures that any employee who is very sensitive to smells can enjoy their benefits without feeling ill. At Jungleworld we supply office and corporate flowers in London, guaranteeing your workplace has a calming and pleasing atmosphere. For more information about how we can help you, feel free to contact us by giving us a call on 0208 968 8190. Our friendly team is always happy to answer any query you might have!